We recently completed design and installation of a beautiful custom pool in South Windsor. It included beautiful stone walls, multiple waterfalls, a built-in hot tub, gorgeous stone pool deck, landscaping and a pool house. It’s magazine-worthy. A LaSalle family hired us for a unique backyard project, including landscaping, a new fence, a sport court and playground, a custom patio with sun filter and a fireplace/entertainment unit. It’s one of our favourites. 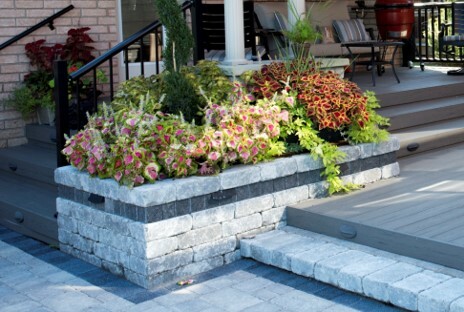 We were retained to re-develop the backyard of a beautiful home in Lakeshore. 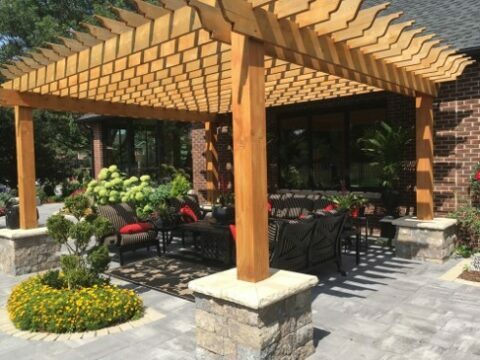 The project included a new composite deck with in-step lighting, hardscaping including patio, planters and retaining walls, landscaping and an enclosed pavilion. It was a complete transformation. 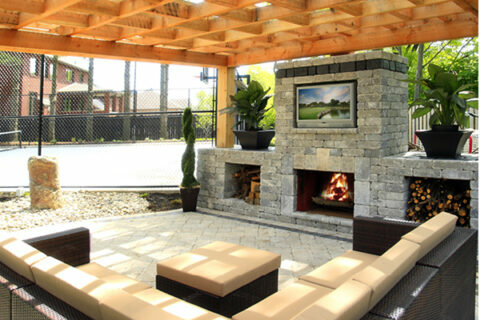 Creative Homescapes was engaged to design a complete backyard make-over for a South Windsor family. The project included a new patio with overhead sun screen, landscaping, an outdoor fireplace, new furniture and much more. We think the results are stunning! We hope you agree.